July 24, 2018 - Borgward Group AG, a German-based international automobile brand, successfully marked its market launch in Germany with the introduction of its latest model, the fully equipped sporty SUV model Borgward BX7 TS Limited Edition. 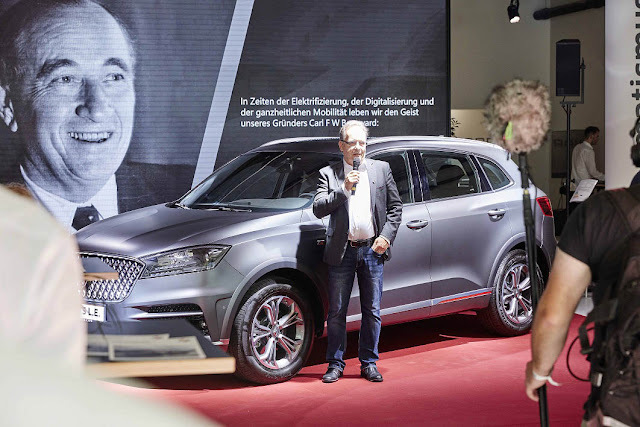 The launch was accompanied with the announcement of Borgward Group AG's strategic new partnership with the country's leading auto workshop chain, A.T.U., which has resulted in the development of a new service concept aimed at creating new business models for sales and services with cost advantages that customers can benefit from. According to the company's senior executives, Borgward AG's strategic new partnership with a prestigious company like A.T.U. marks another milestone for Borgward AG's return to Germany. This new alliance has allowed for the development of a new service concept that allows the implementation of professional services throughout Germany for all Borgward vehicles. A recent study on existing business models, customer requirements, and trends from other sectors that the company conducted shows that customers want the sales process to be simple and transparent and to not include any hidden costs. The study also showed that customers were now willing to purchase vehicles online and expressed the need for a comprehensive and reliable workshop network. In addition to this, the entry into the European market will help drive in positive results for neighboring regions, including the Middle East where increased consumer confidence is expected. 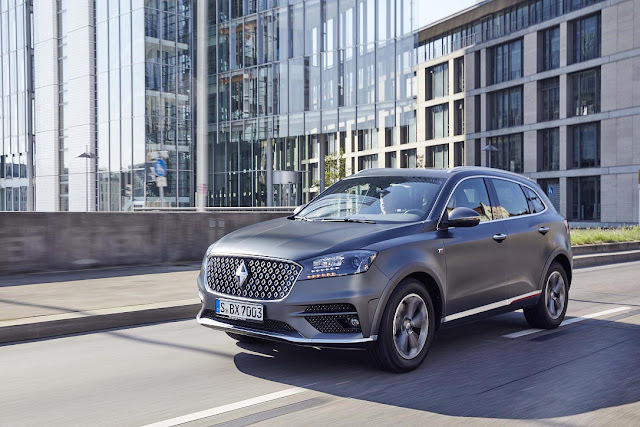 Borgward BX7 TS Limited Edition, which is a reflection of the successful integration between the company's brand values with modern technology. The muscular and broad masculine shoulders of the new model enhances the energy of the BX7 TS Limited’s sides--giving it a more extravagant sporty look. Made to be both comfortable and dynamic at the same time, the BX7 TS Limited has been built with a smart torque-on-demand all-wheel drive powered by a cutting-edge direct-injection four-cylinder engine with 165 kW (224 hp) of output and a maximum torque of 300 Nm. The model is also being offered with a comprehensive CARL Connect online infotainment system, outstanding safety features and a comprehensive range of equipment. lastly, the BX7 TS Limited comes with a four year warranty (120,000 km. ).